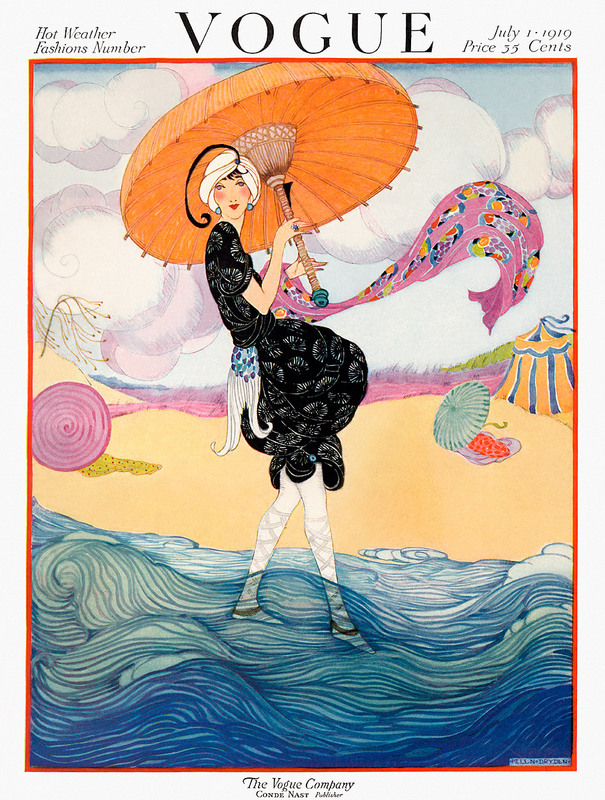 July 1919, illustration by Helen Dryden. 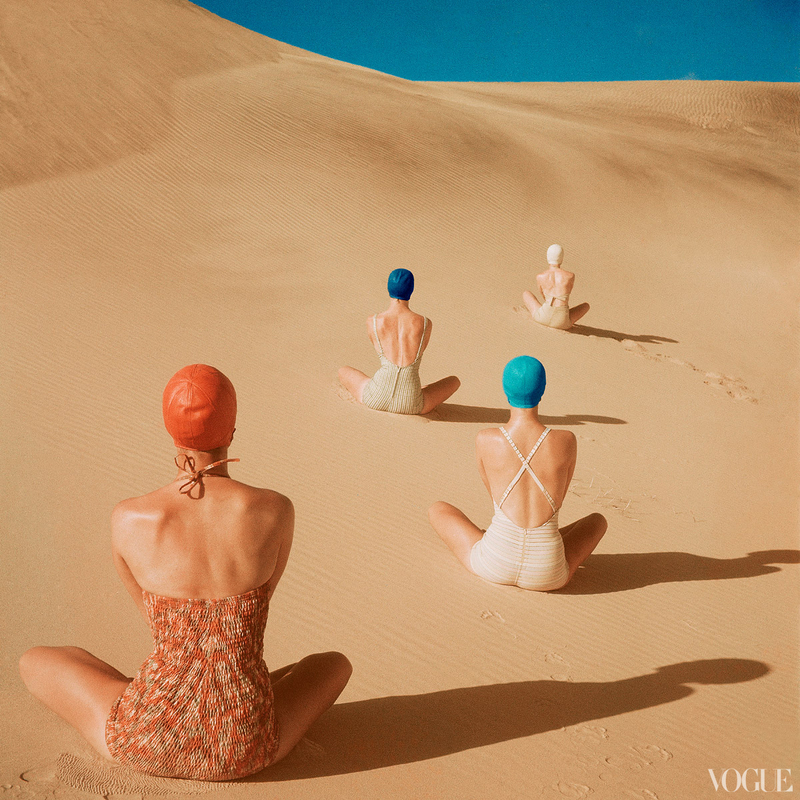 Similar to the recent release of vintage beach fashion images from Vogue Spain that I highlighted a few weeks back, US Vogue has also decided to open up their vast archive to give us a look at summer fashions dating back to 1899. Containing some very famous and iconic images, you know I couldn’t resist. I selected a few of my favorites, but be sure to head over to Vogue to see them all. 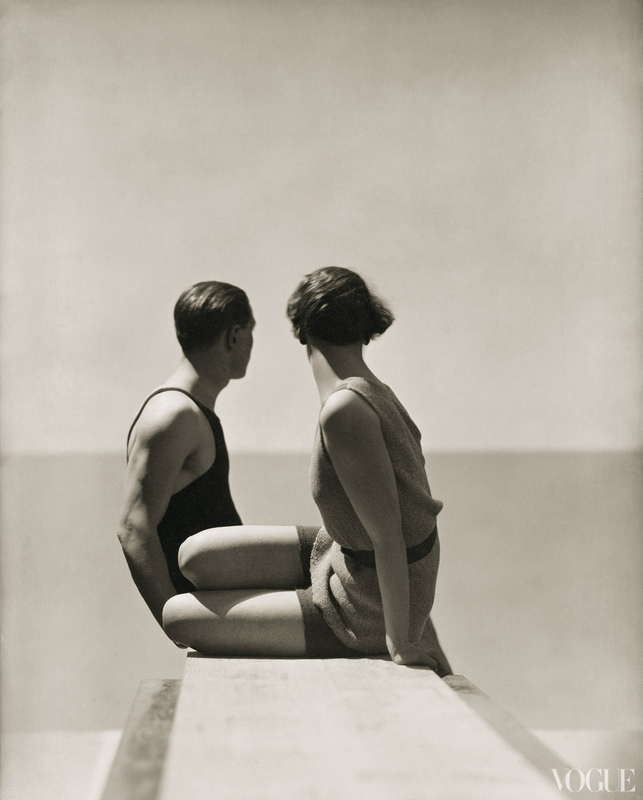 July 1928, photograph by George Hoyningen-Huene. 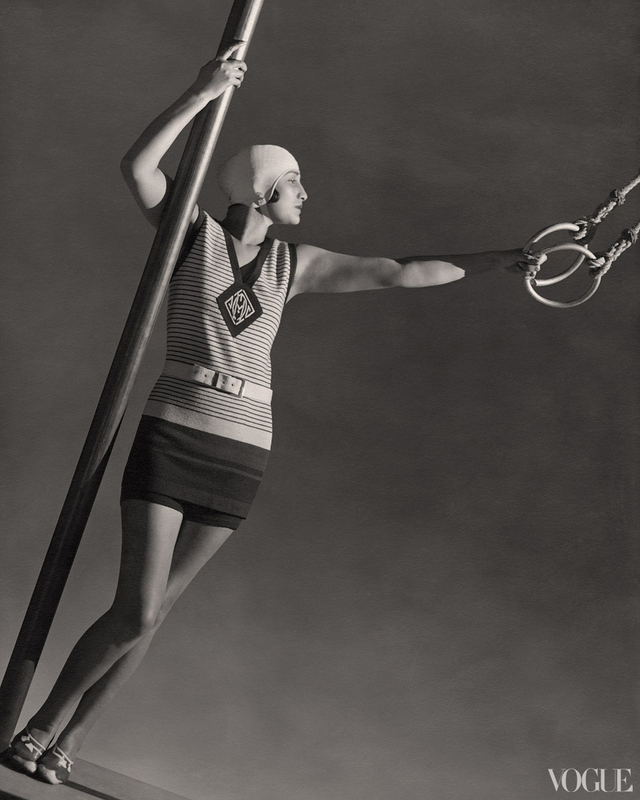 July 1930, photograph by George Hoyningen-Huene. May 1933, photograph by Edward Steichen. 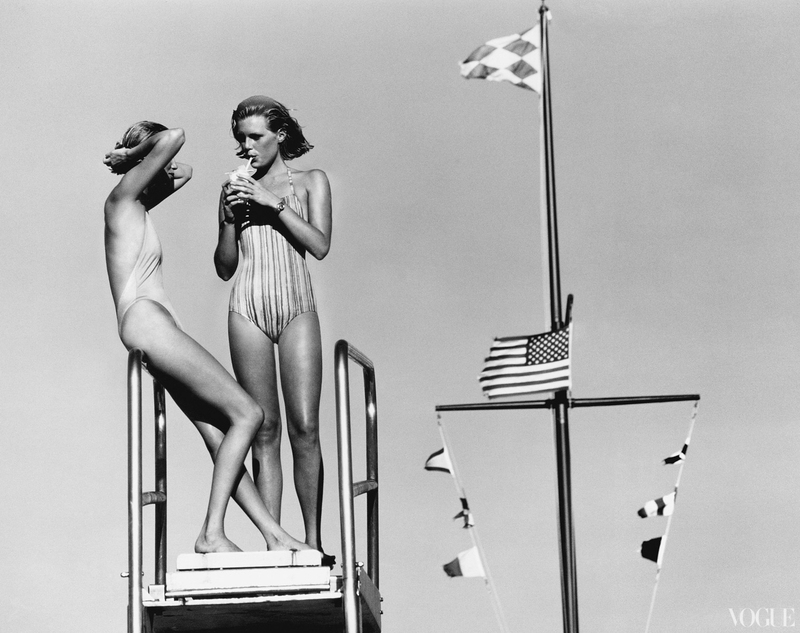 July 1940, photograph by Toni Frissell. 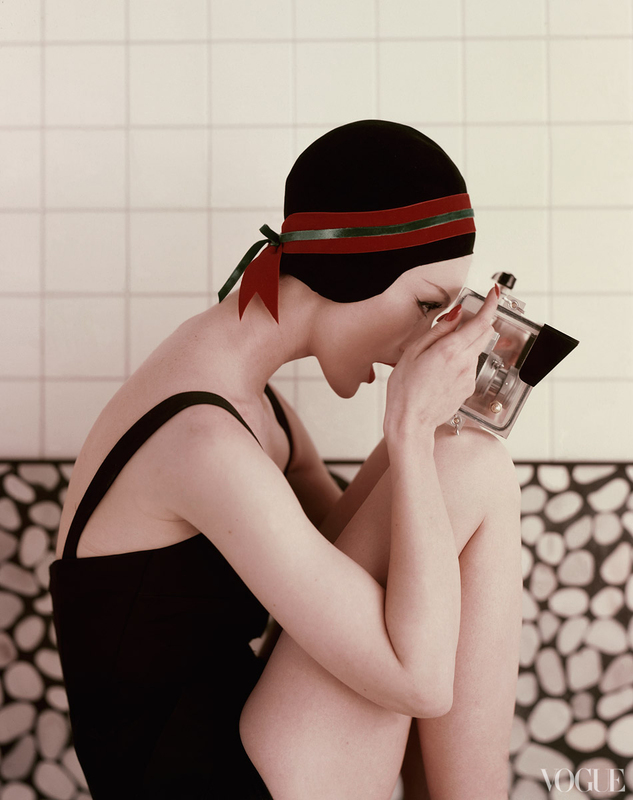 May 1941, photograph by Horst P. Horst. 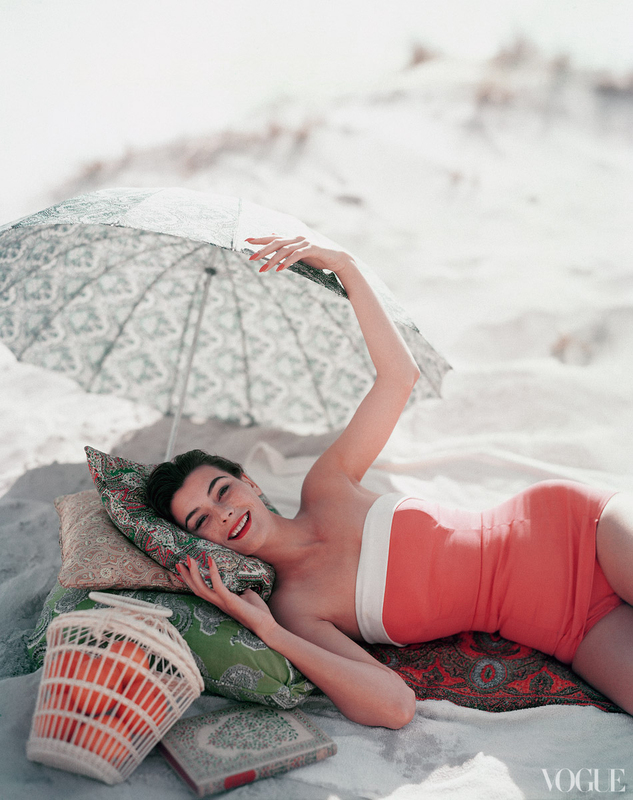 June 1949, photograph by Clifford Coffin. December 1952, photograph by Richard Rutledge. July 1954, photograph by Karen Radkai. January 1956, photograph by Richard Rutledge. January 1958, photograph by Richard Rutledge. 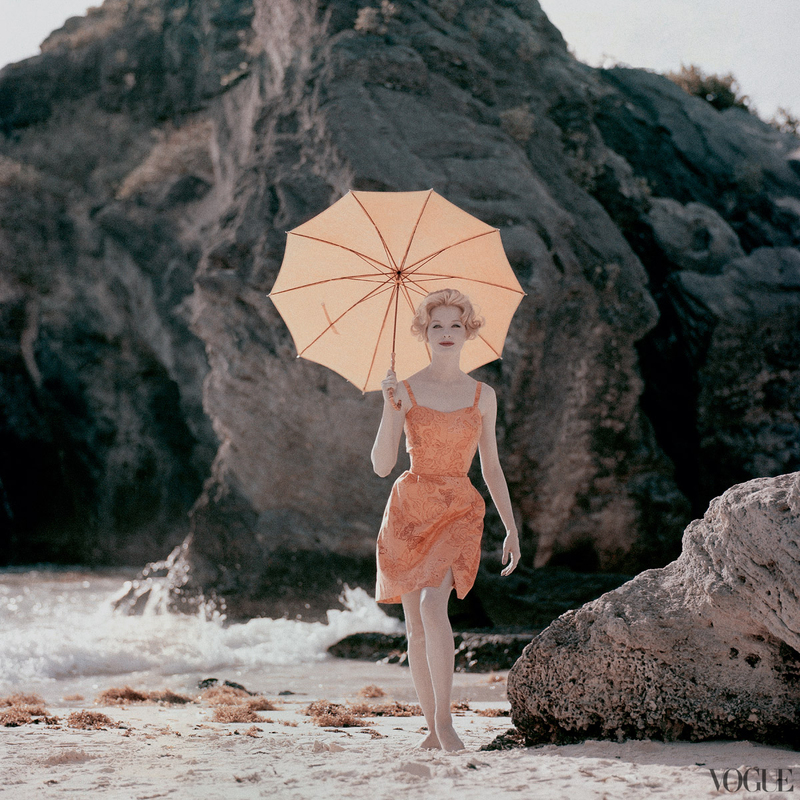 January 1959, photograph by Jerry Schatzberg. 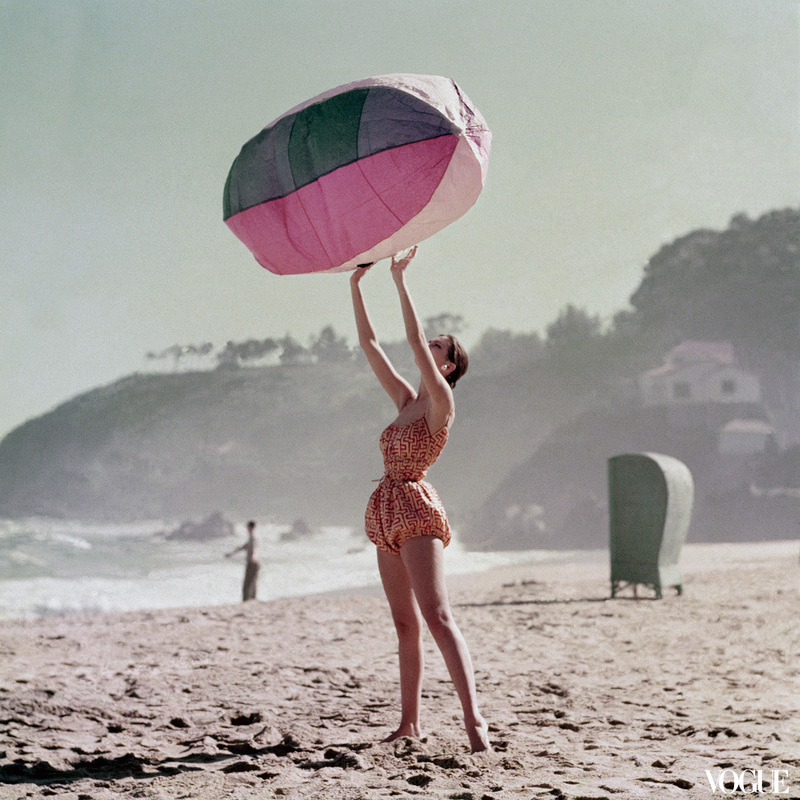 January 1959, photograph by Tom Palumbo. January 1966, photograph by John Cowan. June 1976, photograph by Arthur Elgort. June 1991, photograph by Patrick Demarchelier. Hop futher down the rabbit hole here. Love, love, love Edward Steichen! His photographs are amazing! Great post! Nice choice! Some of these images appear in the great book The Swimsuit by Sarah Kennedy, that i did a post about recently. These are so great. 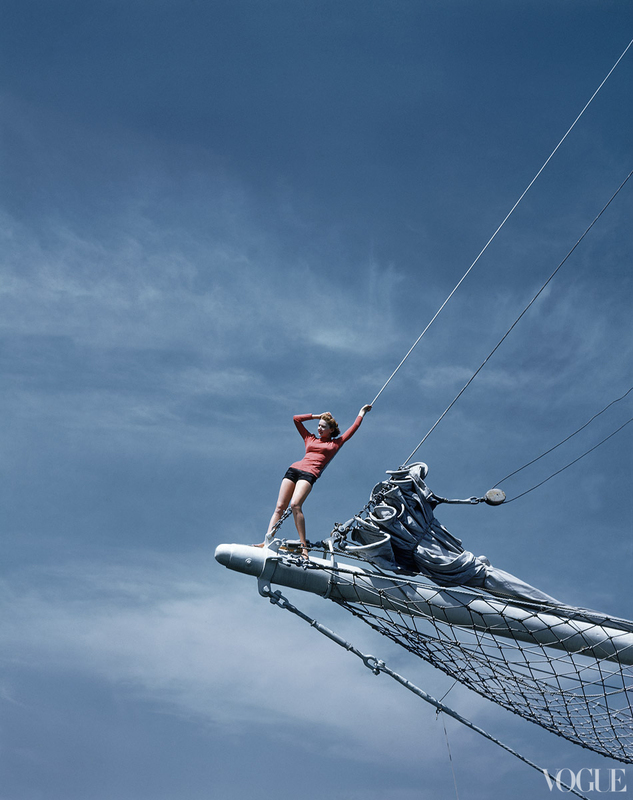 The Toni Frissel photo of the woman standing on the boom was almost the cover of Tomboy Style! 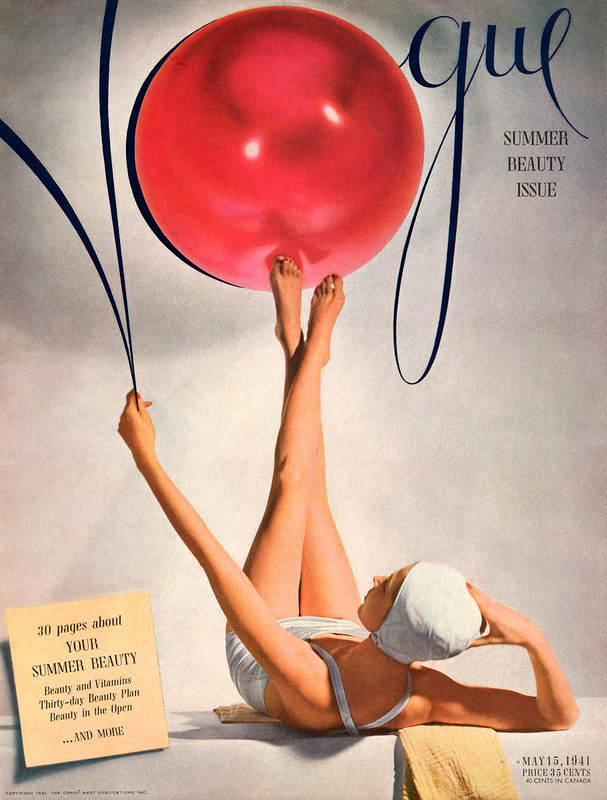 You are currently reading Rabbit Hole || Summer in the Vogue Archives at Quite Continental.